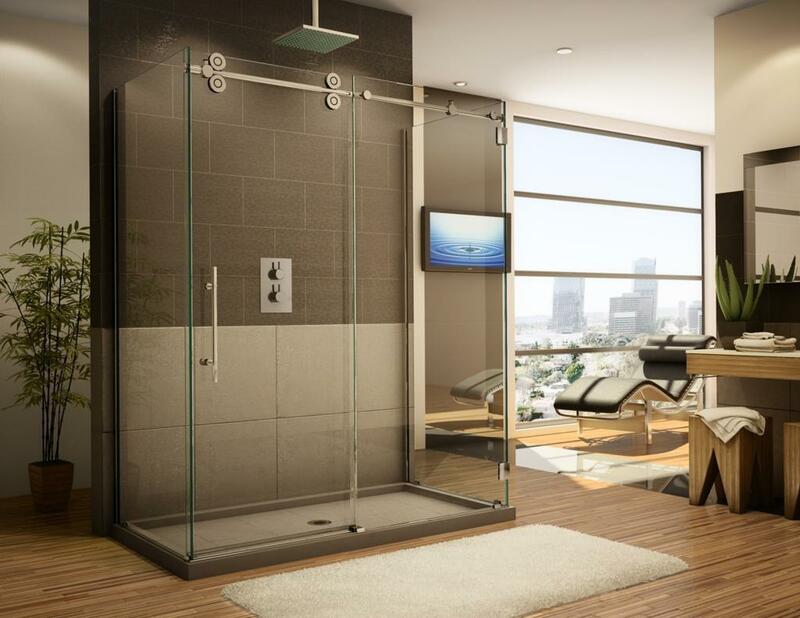 Give your bathroom a modern, industrial look with a new barn door style shower enclosure. This trendy style has gained a lot of popularity over the past few years. Best Value Glass carries both single, and double sliding barn doors with many styles and options available. Please keep in mind that the barn door style shower cannot work with every shower opening, and it is very important to have a professional evaluate your space before ordering one of these units. Every bathroom is different, and not every style will fit every space. Please contact our team today to help find the right shower to fit your unique bathroom!